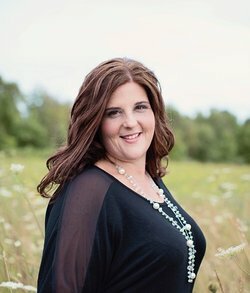 CONGRATULATIONS & HAPPY RELEASE DAY Jasinda Wilder!!! I wasn’t always in love with Nell Hawthorne; I was in love with a girl named India, before i ever met Nell. India? She was my first love, the girl who made me want to be better than my past, better than the blood and violence. Live by the sword, die by the sword, that’s what they say, right? It should have been me, that day. But it was’t. It was her. And that changed me. Sent me down an even darker path than i’d been on before. Until i met her. Nell Hawthorne. The girl who changed everything. You know that story. But what you don’t know is everything that led up to that rainy day under a tree, at a funeral. 6 STARS - This book was everything I could never have expected. Action packed, intense and incredibly emotional, I thought I knew Colton's story, I was very wrong! 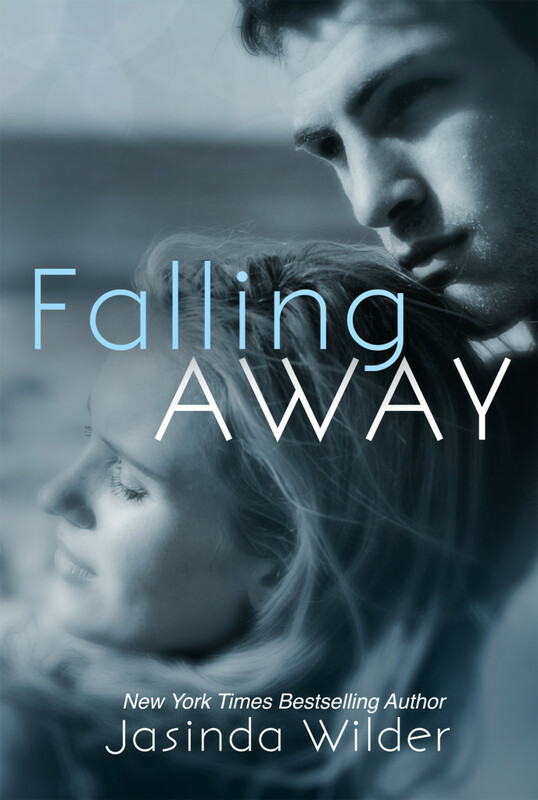 This book is going to give fans of The Falling series everything they could have ever wished and hoped for, Jasinda Wilder shines! Colton Calloway is a young man that is frustrated, he’s unhappy 90% of the time but what does bring him happiness is working on cars. Restoring, customizing and repairing vehicles allow Colton to feel at peace, if only for a little while. Having always struggled in school Colt studies for hours at a time only to receive marks that would allow him to barely gain a passing grade, and sometimes not even that. His parents do not understand him and his father is intolerant to the fact that Colton suffers from severe dyslexia. At the age of seventeen, which is where we first meet Colton in this novel he is a powder keg of anger and frustration just waiting to blow. And sure enough it happens, his frustration boils over and the very strained relationship that he has with his very successful and politically motivated father explodes. After a very heated argument, at which time some very cruel things are said, Colton is done. Colton will no longer tolerate or even entertain living under his parent’s roof, within minutes Colton is on his own. Please keep in mind that at this point in the story Kyle is maybe 10 or 11 years of age, Kyle we all know from Falling into You is Colton’s younger brother. When Jasinda Wilder told us that she was taking us back to the beginning, she was not kidding, she takes us all the way back. This story is Colton’s and it’s a story that is pretty much brand new, we are taken back into Colton’s past, before he met Nell, this story unlocks all of the mystery and in great detail. We are told this story entirely from Colton’s perspective and make no mistake this story is incredibly intense. It’s intense and fast paced, the flow of the story is incredible, time flows over the period of years and yet you feel like you have been by his side every step of the way. Falling for Colton is emotionally charged, I felt all of Colt’s heartbreak, frustration, rage, inner conflict, his guilt, determination, and the pain. Colton is so much pain for most of this incredible story, both physical and emotional. Before Colton meets Nell on that park bench in Central Park, so much has already happened to this young man. A young man that has seen and experienced so much at such a young age. What he has had to do to survive on his own in New York City haunts Colton from time to time and that inner struggle is truly felt. I felt it and my heart ached and broke for the young man who only ever wanted to be loved by his parents, and be accepted for who he is, not for what they want and expect him to be. Being compared to Kyle 24/7 does nothing to help Colt either, in fact it does what you would expect to, it drives them apart, and that may be saddest part of this story for me, because Colton really and truly loves his baby brother. When Colton gets on that bus to NYC on the night of the fight with his father, he has no clue what lies ahead for him, only that he is truly on his own. He no longer has a home. When he begins his journey he has one goal, to create and life the life that he wants for himself more than anything. One where he work on cars, customize them and eventually own his own shop. One where he can go to work daily and feed his passion. What happens in NYC after Colton arrives is nothing short of a nightmare. The only shining point is the few loyal friendships that he forms and meeting India. For the first time in his life Colt feels a connection to a woman, and it’s intense. What happens after that is powerful and real. Some people are lucky to truly fall in love once in a lifetime, but it would appear that the one aspect in life that Colton is truly lucky in is love. Not only finding that incredible love not once but twice is truly miraculous. Heartfelt, compelling, poignant, Falling for Colton is a beautiful way for Jasinda Wilder to finally bring this series to a close. I can always return to this series time and time again more than happy to revisit the characters and their stories. 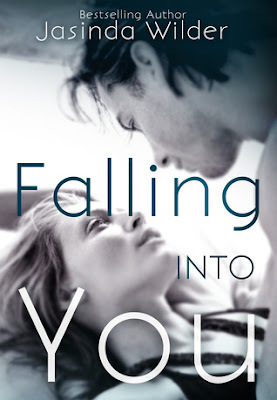 The Falling series is an emotional one, it will force you to feel things that you may never have felt before while reading a book, but once you begin, you’ll be 100% invested and you’ll be incapable of walking away. Jasinda Wilder proves over and over again that when it comes to delivering a story that will keep you riveted, she has what it takes and then some. I’ve yet to read a story from this author that I have not enjoyed and that seems crazy considering how many of her books I've read. I love this author’s style and when it comes to sitting down with one of her books, I’m always captivated from start to finish. 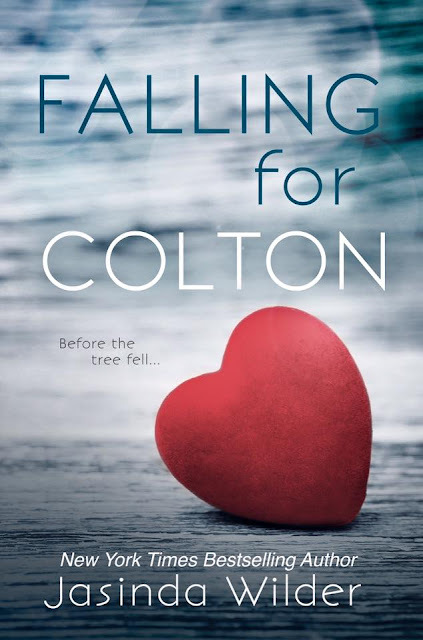 Falling for Colton is impressive and when readers get their hands on this book there is going to be never ending praise for Wilder and her ability to make them feel!